Minor League Player of the Day: Bakersfield OF Steve Selsky: He went 4 for 4 with a HR, a 2B, a BB, and a SB. Neftali Soto went 3 for 4 with a 2B. Kanekoa Texeira, 2.67 ERA, got no decision as he went 5 IP and allowed 0 R on 1 H and 2 BB with 3 K. Will Ohman took the loss allowing 1 R over 0.2 IP of relief. J. J. Hoover added 1 IP of scoreless relief. David Vidal went 2 for 3. Donald Lutz went 2 for 4. Mark Fleury walked twice. Andrew Means doubled. Billy Hamilton stole his 142 base. Kyle Lotzkar, 5.21 ERA, got the loss as he went 4 IP and allowed 3 R on 2 H and 2 BB with 2 K. Chris Manno added 1 IP of scoreless relief. David Vidal went 3 for 4 with 2 HR. Beau Mills went 3 for 4 with a HR. Donald Lutz went 3 for 4. Brodie Greene went 2 for 4 with 2B. Bryson Smith doubled. Mark Serrano, 3.66 ERA, got the win as he went 5.2 IP and allowed 1 R on 5 H and 0 BB with 7 K.
Steve Selsky went 4 for 4 with a HR, a 2B, a BB, and a SB. Travis Mattair went 3 for 4 with a 2B. Kurtis Muller went 2 for 5 with a 2B. Chris Berset went 2 for 4 with 2 2B. Theo Bowe went 2 for 5. Devin Lohman doubled. Daniel Renken, 5.87 ERA, got the loss as he went 2.2 IP and allowed 9 R, 8 ER, on 9 H and 1 BB with 2 K. Daniel Wolford (2.1 IP) and Michael Griffin (1 IP) each added scoreless relief outings. The Dragons managed just four singles in the game. 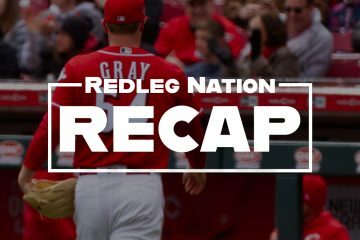 Robert Stephenson, 2.74 ERA, got the loss as he went 5 IP and allowed 1 R on 2 H and 3 BB with 5 K. Michael Dennhardt added 1 IP of scoreless relief. Carlos Sanchez went 3 for 5 with a 3B. Zachary Vincej went 2 for 4 with a 2B and a BB. Seth Mejias-Brean walked three times. 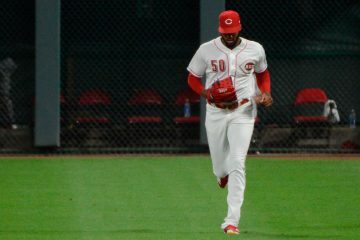 Amir Garrett, 0.00 ERA, got no decision as he went 3 IP and allowed 0 R on 1 H and 1 BB with 3 K. Joel Bender got the loss allowing 4 R over 2.1 IP of relief. AZL Reds – No game scheduled. I read that this was Garrett’s last start of the year as he heads back to school this week. Saturday morning feels good around RedsLand. The big club simply pounded the poop out of the stupid Cubbies after Bruce got plunked and several of the big boys in the minor league system who have been struggling had some monster games. I believe that is the aroma of deep playoff runs for several years that I am smelling mixed with a fresh pot of Joe and waffles on the iron.